Show lasts approximately 1 hour and 15 minutes. Cruise lasts approximately 2.5 hours. 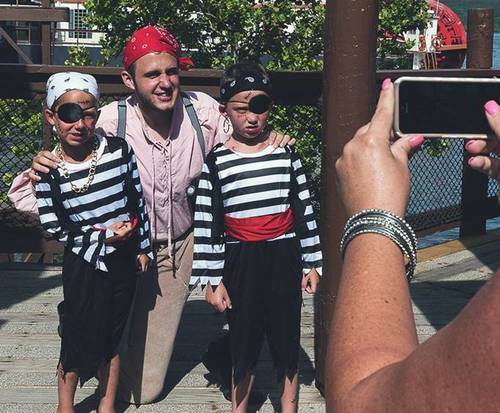 Showboat Princess & Pirate Lunch Cruise is not being offered this year. 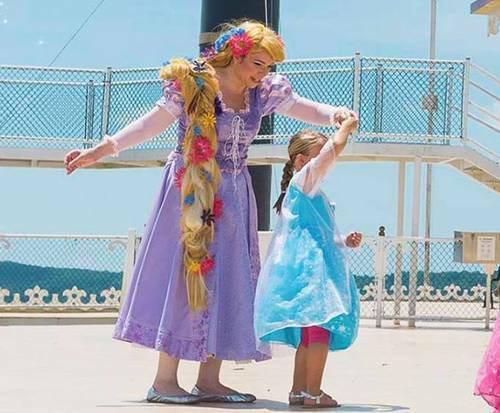 Set sail on the Showboat Princess & Pirate Lunch Cruise for an amazing cruise the entire family will enjoy; climb aboard the luxurious ship on this adventure across the sparkling waters of Table Rock Lake in Branson, MO. If you have ever journeyed on the Branson Belle, you know how immaculate this authentic paddle wheel boat is. With panoramic views and plenty of onboard entertainment and feasting, an afternoon on the Showboat is a great addition to any Ozarks getaway. Guests are encouraged to dress in their best pirate or princess attire as they set out into the open 'sea'. This unique cruise offers live entertainment from Pirate Magician Aaron and Princess Cassandre. Other activities the kiddos can enjoy include tiara-making, bubble-blowing, getting tattoos, and watching a balloon artist, all from the Showboat's impressive top deck. 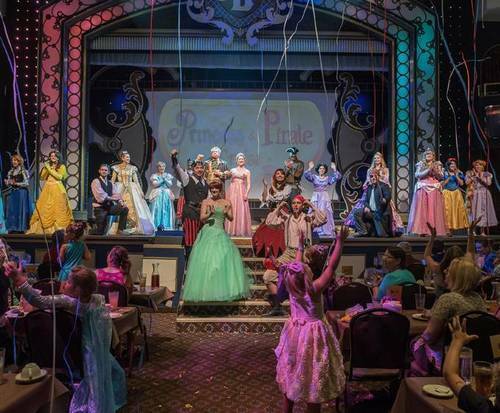 Just like the Showboat Branson Belle, the Princess & Pirate Lunch Cruise features a mouthwatering dinner. The menu offers plenty of choices for even the pickiest of palates. The adult menu features a delicious chicken Caesar wrap on a tomato basil tortilla, and the children's menu treats little scallywags to a Nathan's Famous Hot Dog with mac and cheese. For an adventure fit for a princess or a pirate, make sure to book the Showboat Princess & Pirate Lunch Cruise.